Session 1 - What is Enough Due Diligence: Financial, Collateral, Legal? 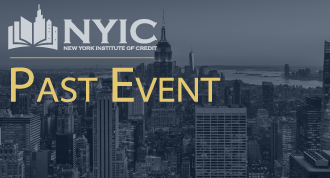 An interdisciplinary panel of professionals experienced in the financial services industry will discuss and explain the actions lenders must take to be diligent in assessing various aspects of financial transactions based upon actual credits. Thomas DeFilippe, Managing Director, Valuation Services Inc.
Dora Dvir, Managing Director and Shareholder, CBIZ Mayer Hoffman McCann P.C. Leading executives representing ABL, Traditional Factoring and Entrepreneurial finance will discuss how these products are responding to market changes. Where are established business models succeeding in the face of current pressures on price, regulation and the disruptive changes sweeping markets such as apparel and energy? What steps have they taken to adapt? How does this open the door to new entrants to the market, and how can more established finance companies respond? This discussion will bring a rarely heard perspective to this issue, by bringing together three different secured lending products that are often discussed separately, so we have the opportunity to explore how these disciplines can learn from each other as they prepare for an ever-increasing rate of market change. Moderator, Jonathan Helfat,Attorney, Otterbourg P.C. J. Michael Stanley, Managing Director, Rosenthal & Rosenthal, Inc.